The Knahaten Flu was, indirectly, one of the main causes of the Three Banners War. By destroying the royal family of Wayrest, it brought King Emeric to the throne from which he forged the Daggerfall Covenant. 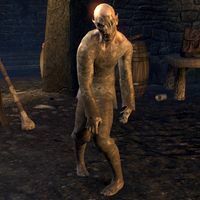 It was a crisis in Elsweyr, motivating the Khajiit to join the Aldmeri Dominion out of respect and gratitude for the many elves who had rendered aid during the worst years of the Flu. And of course, it provided the Argonians with enough independence to join the Ebonheart Pact as equals to the Dunmer, rather than as slaves. At its height, the Knahaten Flu engulfed most of Tamriel. It spread from Black Marsh, where it started, to southern Morrowind and across the Topal Bay to Elsweyr, and from there to Valenwood and even High Rock. This page was last modified on 2 December 2018, at 05:29.